What does it take to make a great chef? 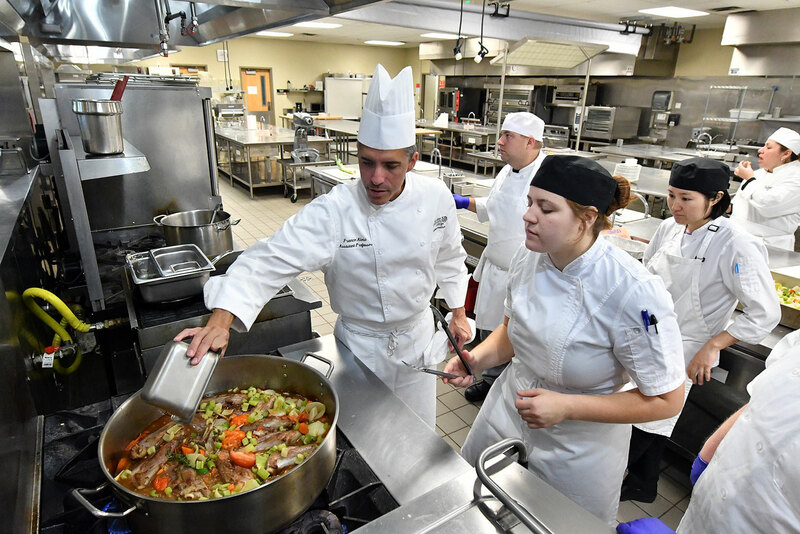 Jeffrey Coker, associate dean of Salt Lake Community College’s culinary arts program, says the responsibility of a chef is “to prepare food to its greatest potential.” That’s something the SLCC Culinary Institute strives to help its students achieve. 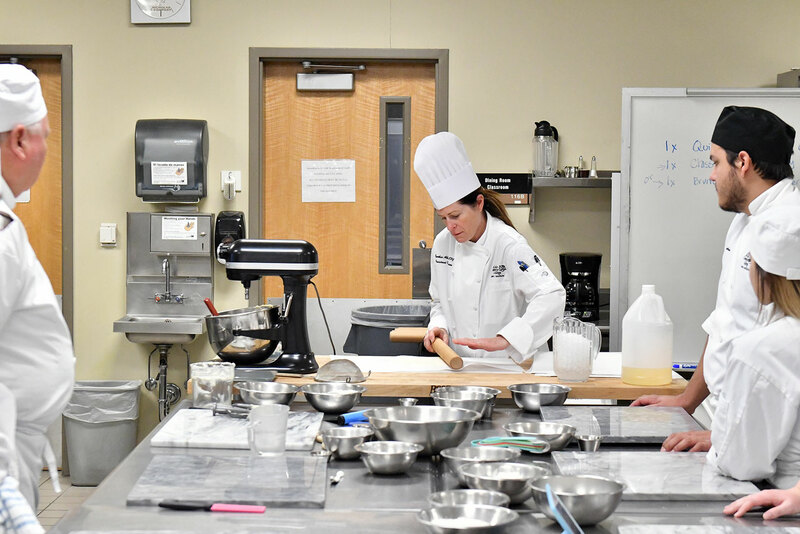 The culinary arts program offers a two-year associate of applied science degree, built to help SLCC students find a career in the food industry. “The institute has a combination of lecture, lecture/lab and lab-only classes,” says Coker. 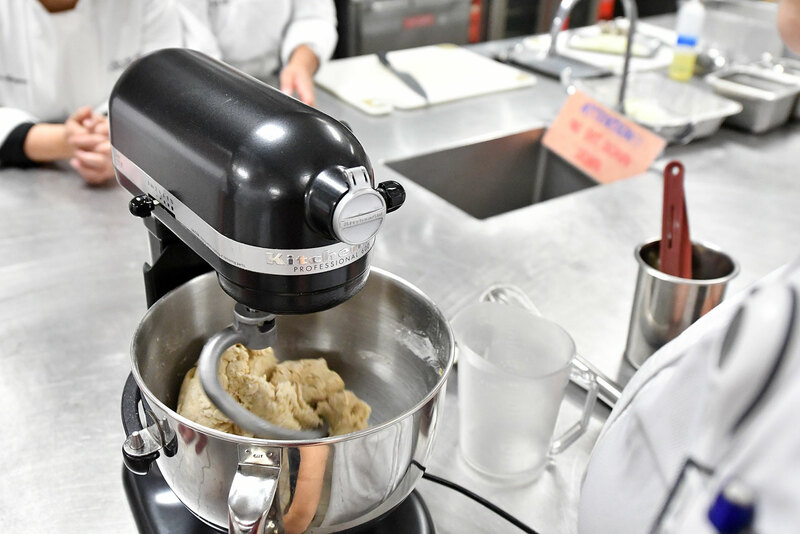 The program’s lecture classes function like any other academic course, while the hybrid courses include a majority of the kitchen classes. Students typically begin their day in the classroom, learning the theories behind the skills they will apply later in the day or week. Homework assignments, small projects and assessments are also a part of these courses. The lab classes, however, cover very little theory and focus more on the regions of the cuisines being prepared. Learning the fundamentals of cooking is the most important outcome. 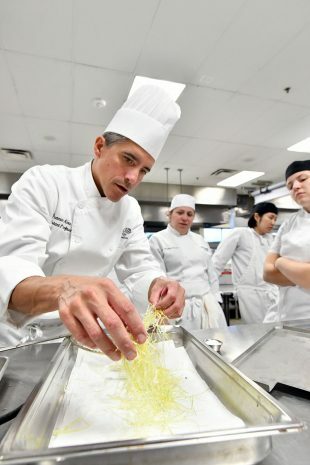 “If the students learn to master the techniques, they can prepare any type of cuisine with practice,” adds Coker. Students prepare many different types of food. On the program’s Facebook page, students share how they prepare everything from cakes to fine pieces of meat. Cooking, Coker suggests, is something anyone with the right mindset can learn. “Like anything else in this world, practice makes perfect. And what better way to practice than with food? We get to party with food every day. If you are passionate about food and interacting with people, then cooking isn’t difficult, it’s fun,” says Coker. Coker also believes everyone should learn how to cook. That sense of community is another vital aspect of the SLCC culinary program. In the kitchen, relationships are built that can last a lifetime, and Coker notes how important building those communication and relationship skills can be when working in a professional kitchen. In some courses, students also get a taste of how food has shaped human existence. Cuisine and Culture includes tasting foods from a variety of cultures, to better understand the history of the human-food dynamic and the shift toward industrialized food. 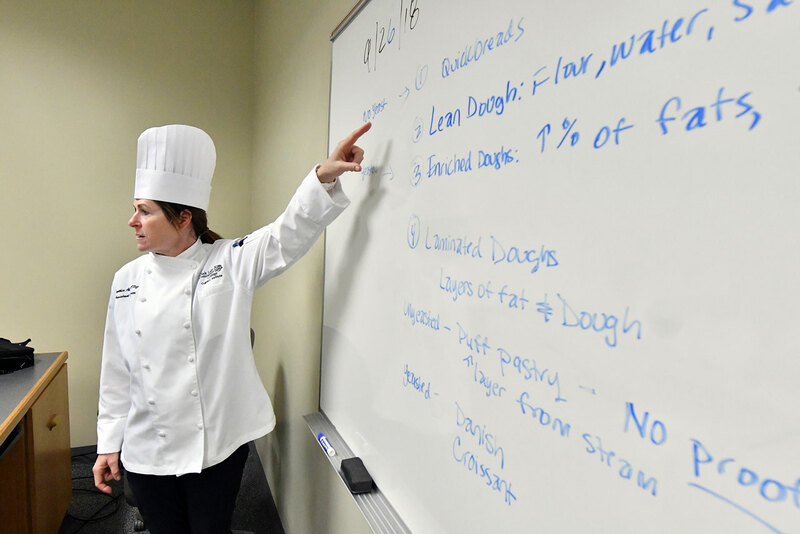 In addition, SLCC also offers wine tasting courses through its culinary arts program. Visit the SLCC culinary arts website for more information, including recipes.